Practicing on both sides of the docket, Barbara Ann Radnofsky has been listed since 1991 in "Best Lawyers in America" and is listed in multiple areas, on both sides of the docket, including alternate dispute resolution, mediation, arbitration, medical malpractice, personal injury, and health care law. 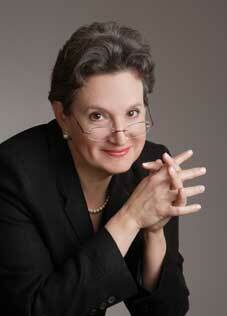 An attorney since 1979, she is a mother of three, wife, teacher, and mediator. After her 2006 retirement from Vinson & Elkins at age 49, she became the first woman in history to serve as the Texas Democratic U.S. Senate nominee. Barbara Ann was the first woman at Vinson & Elkins to have children as an associate and attain partnership. Barbara Ann has served as lead counsel in jury trials involving commercial disputes, medical malpractice, tax, contractual indemnity, false arrest, malicious prosecution, assault, premises liability, insurance defense matters, pedestrian and auto accidents, Section 1983 Civil Rights disputes, worker's compensation matters, and products liability; argued successfully before the Fifth Circuit on pro bono prisoner's rights and torts matters; conducted appeals there, and in Texas state appellate courts; represented clients in Congressional hearings and administrative tribunals. In 1999, Barbara Ann successfully petitioned the Consumer Product Safety Commission to prohibit defective barbecue lighters with estimated annual savings of millions of dollars and hundreds of lives. To access Barbara Ann's full CV, please click here.